Discussion in 'Investing/Trading/Cryptocurrency/Altcoins' started by Rich Wood, Jul 9, 2018. This is a post about investing, selecting the right employees and investment professionals to build your track. My question is how to you pick the right Jockey and Horse, and establish the track for them to succeed. The reason I ask, is because I've been a Jockey for other peoples money and their successes for some time, and I've finally figured it out, that I want to own the track, who uses the jockey's and the horses will, determination, and hard work, and the patrons participation to gain with minimal personal effort other than bringing everyone together. The fast lane is about choosing the hardworking stallions (proper industries), and the intelligent jockey's who have luck, drive, and passion to properly manage your investments. One of my greatest successes in life is finding the right employees (my jockeys), giving them direction and then autonomy to provide brilliant results. It has also been about finding the right money managers (other jockeys) who have the connections, opportunities, and insight to properly manage my companies activities, and my investments, with superb returns. I'm still creating the track (my business, and portfolio of investments), where my jockey's and horses can thrive. 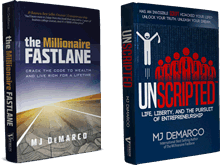 I've found that the most difficult transition in life is from working extremely hard and managing every detail, to making the small fortune, then properly handing it to others to manage, so that the fastlane lifestyle can truly be attainable and continued throughout life. This is where the right Jockey's, Horses, and the built track come into play, so that minimal effort is required after success is achieved. 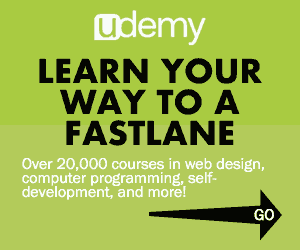 This is the fastlane.